Woofinwaggle, located in Raleigh, NC will open it's doors to the public in June 2016, providing human-canine fitness classes, a self-serve dog wash, pup-events including birthday parties and fun & educational events for the dog-loving community. Tell us a little bit about yourself! 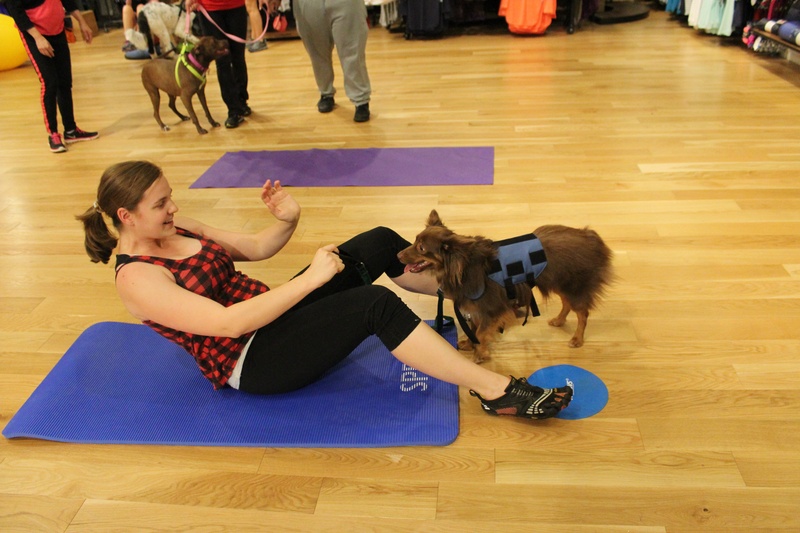 How did you come up with the idea to bring dogs and fitness together? I am a total animal lover and my dog, Molly Waffles, a 4 year old Goldendoodle, is my best and constant companion. Growing up, I was lucky to have had the opportunity to spend summers on a family farm in Pennsylvania. I learned the value of hard work on that farm and my love of animals, the environment and healthy living was born and nurtured. From a career perspective, I spent 31 years working in technology. Although those years were filled with growth and challenge, I always had a desire to spend my days doing something I had more passion for. When the opportunity arose for me to get certified in human-canine fitness classes, I jumped at the chance. Once I achieved my Master Certification, I knew a community dog related business was my goal. Dog friendly businesses are in more and more demand, and dog owners want to bring their 4-legged family members with them wherever they go. So I decided to take a big risk, make a career change and open a business that incorporates several dog related services. We're already half way through the year! What has been your favorite moment of 2016? I have had some really amazing moments so far this year. I launched my first business this year. Scary and exciting at the same time, there have been a handful of really memorable moments that have come from that. The day I signed my lease on the building that took me more than 9 months to find was exhilarating; the day I actually got the keys to the space was equally exciting. This week, the building passed it's final inspection and we now have our CO (Certificate of Occupancy), that's really exciting. However, I believe when my grand opening rolls around in a few weeks, THAT will be the icing on the cake (at least for the first half of 2016). Tell us more about your gym! What sort of services will you be providing? Woofinwaggle is completely unique - there is no other club like it in this area, or even on the East Coast right now! 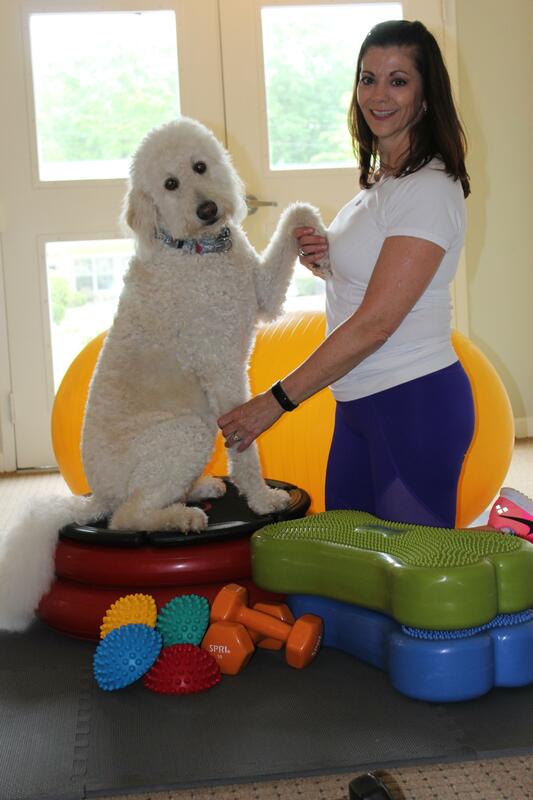 Certainly the fact that you can work out with your dog and actually expect that the both of you will get a good workout while having fun is pretty special. I believe that our welcoming and familiar nature will become what we are known for and why people will continue to come back. 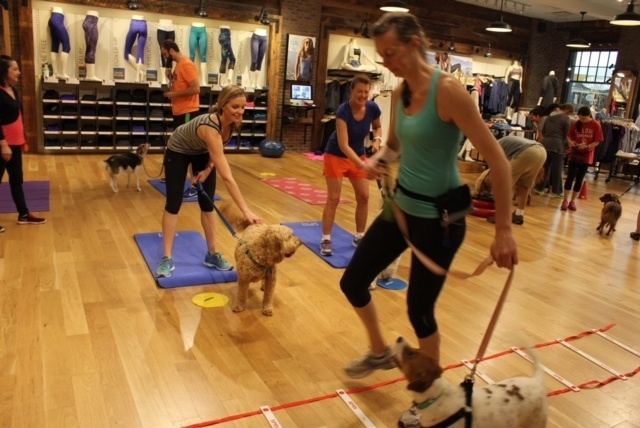 Our goal is to be the neighbor place to go and get fit, get fluffy, and have fun with your dog. Making Woofinwaggle a brand known for it's welcoming, dog-loving, friendly, and supportive environment is our mission. Human-canine fitness classes of various types and fitness levels. We will offer pay-as-you-go as well as monthly packages. A self-serve dog wash with these amazing tubs that lower to the floor for larger or senior dogs to step right into; and they raise to about 5 ft. high so that no one needs to bend over and get a sore back just to bath their pooch. An open gym for humans and their dogs once they have gone through an assessment. Dog birthday parties with various packages to select from to make your fur-babies birthday the best it can be. Educational events that will bring dog professionals and services to our customers providing alternatives, and additional methods to keep their dogs happy and healthy. How did you end up finding Zogics? I searched for a long time for the right company to purchase my towels for my dog wash business. I chose Zogics for several reasons: first, there's a great variety of products and the prices are very competitive; second, Zogics' chat support was extremely helpful and third, the Z-team, culture and the dog-friendly environment was very appealing and I wanted to support that. 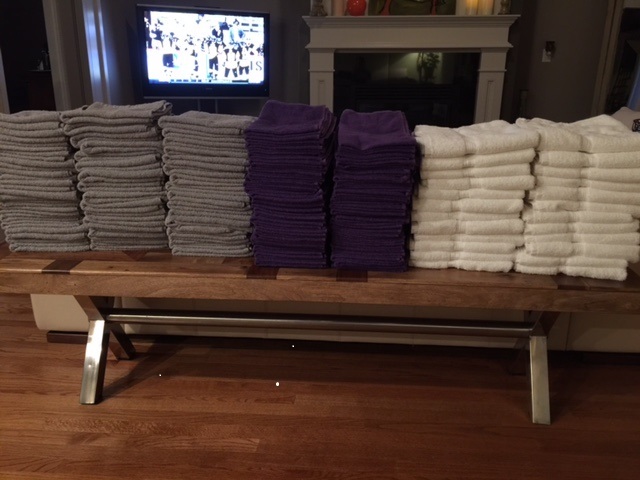 I wanted to stock up on towels for my dog wash business. I am excited to bring these into my business and expect that the variety and colors that I selected will be PERFECT!!! Thank you, Zogics! I'm so excited to bring this service to the Raleigh community. We hope that we are welcomed and supported and know that we will work daily to support the dog-loving community around us. For those in this area, please stop by and give us your thoughts and ideas. We can't wait to meet you and your 4-legged family members! A special shoutout to: Connie, Amanda, Scharles, Geri, Tabitha, Julie, & Kim, I love you all and thank you from the bottom of my heart. I also want to give a shout out to some professionals that without them, I would not have the building and the amazing space that I do or be as far as I am! Gary Becker, Keller Williams Realty, Amanda Heckel, Straight Edge Painting, Richard Rabon, Zachary Michael Commercial Construction, Troy Beal and Chris Roberts, Triangle Epoxy, Beb Bedi, Teresa Robinson, and Emily Cullen from Media Integrations, and Abby Green, who created my fun and perfect logo! We are so happy and excited for Carol, Molly and Woofinwaggle! Make sure to give them some love on Facebook, Instagram and Twitter. Prices and hours will be listed on on Woofinwaggle's website (coming soon). Want to be featured as part of the Zogics Customer Spotlight?